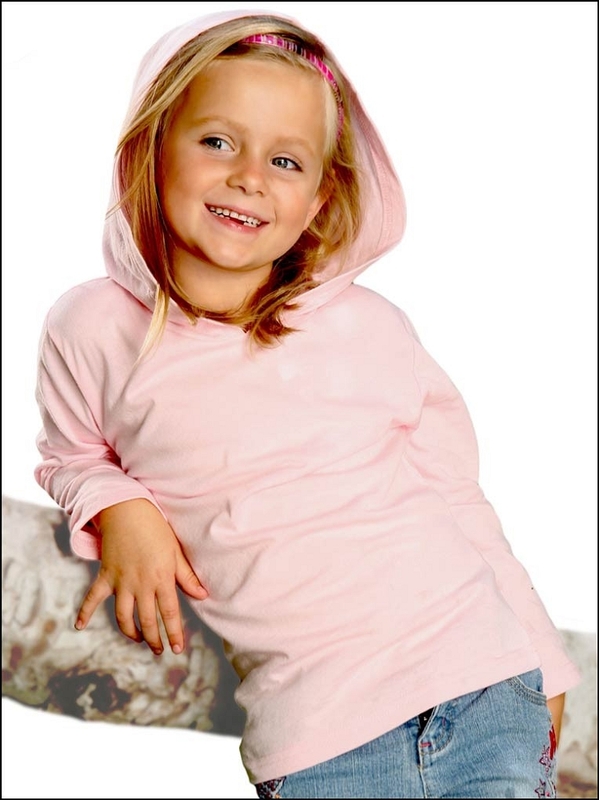 This cute long sleeve hoodie is a soft and lightweight option for toddlers that can be worn year round. Lightweight jersey 32/1, 100% cotton ring spun combed, heather colors are cotton-poly. 4.0 oz/sq yard.